The Trackhawk variant of the Jeep Grand Cherokee is considered among the fastest-going SUVs in the world. It ships with a 6.2-liter turbocharged engine rated at 716 hp (527 kW) and 873 Nm (645 lb×ft) of torque, accelerates 0-100 km/h (0-62 mph) in mere 3.5 seconds and may ultimately reach 289 km/h (180 mph). You’d think this kind of performance would be enough for everyone – but John Hennessey, founder of Hennessey Performance, begs to differ. 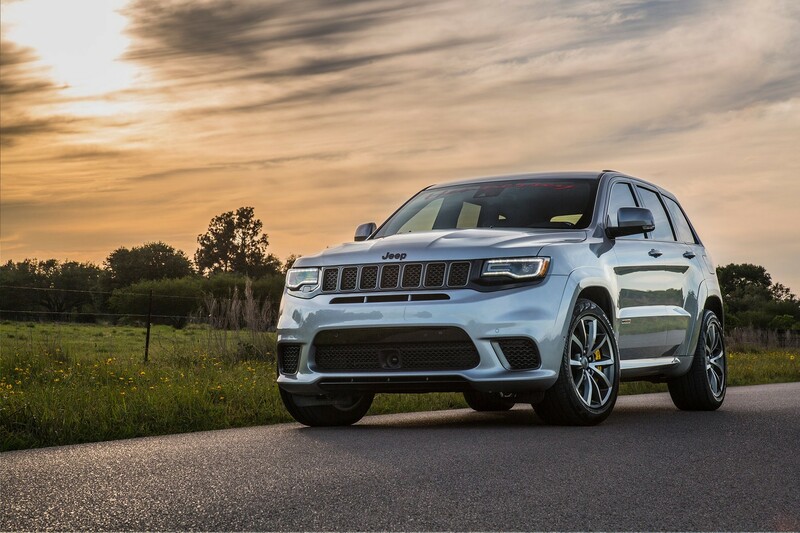 His team of dedicated car tuners has made it their goal to turn the Jeep Grand Cherokee Trackhawk into the fastest-going SUV in existence. The engineers retrofitted the engine of the car with a humongous 4.5-liter large supercharger, installed forged aluminum pistons, connecting rods and a heavy-duty camshaft, added ported cylinder heads and reinforced the throttle body. As a result, the car now produces an estimated 1,200 hp (894 kW) and 1,354 Nm (1,000 lb×ft) of torque. It bolts to 100 km/h (62 mph) in blazing-fast 2.3 seconds and only tops out at 321 km/h (200 mph). The tuner claims this makes it the fastest SUV in the world. A total of 24 cars will be built and sold for a minimum of U.S. 179,000 each.